Who you drink wine with is a lot more important than where you drink it. Wine is made to be enjoyed with friends and one of my best memories is tasting wine in a garage winery in Toro, using the concrete floor as a spitoon! However, sometimes a location suits the occasion, and tonight’s Masi wine tasting in The Adam’s Suite of The Shelbourne Hotel was a fitting venue to try their elegant Italian wines. Hosted by Findlater and O’Briens, the president of Masi, Sandro Boscaini, was the guest of honour, giving a talk and guided tasting to a room full of eager wine lovers. Making wines in the romantic setting of the Veneto region, the stunning landscape bounded by Lake Garda and the Alps, Sandro is the sixth generation of his family to make wines. And from one evening in his company, it is obvious to see his passion for wine making. This passion for food is ingrained in the Italian psyche and I’ve no doubt Sandro would be as equally passionate making bread as he would making Amarone. As he says himself, the land is the most important factor in food, followed by the ‘magic of fermentation’, be it a cheese or a fine wine. 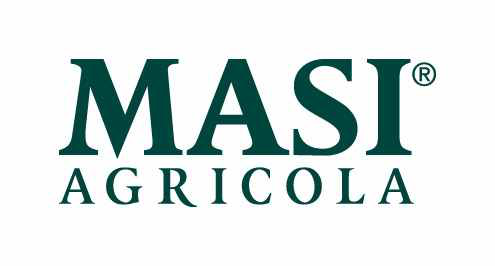 Masi pride their wines on being a marriage of tradition and innovation. In the strictly controlled DOC system of Italian wines, it can be difficult to make an innovative wine, but Masi have consistently pushed boundaries and marry new techniques with traditional methods. Leading from the front in this fashion sees some of their wines fall in to the second tier of Italian wine classification (IGT), but is a refreshing attitude from such a well-established winery. One of the methods Masi are particularly adept at using is appassimento. This is a traditional wine-making technique whereby fruit is partially dried on mats to remove some of the water, leaving shrivelled, raisined grapes that offer much higher concentration of sugar and flavours. This method is traditionally used to make Amarone and Ripasso red wines in the Valpolicella region. Masi, not content with simply making red wines, have utilised this technique to produce a stunning rosé and white wine. Falling outside the top DOC tier, but widely acknowledged for their elegance and innovation, these wines are known as Supervenetians. Surely this slightly comical name alone is enough to give them a try! Producing world renowned, quality red wines- Masi have been shipping here to Ireland for 25 years- many of you will know how good (and often expensive) their reds are. Instead I want to concentrate on their rosé and white, as these were the star of the show for me. Rosa Dei Masi, Venezie IGT, 2013. O’Briens €19.49. This wine is made with Refosco, a grape usually high in tannin and acidity- not suited to making elegant rosé wines. Undeterred, Masi used appassimento to lightly dry a small quantity of the grapes, helping to bring down the acidity and soften the austere nature of Refosco. The resulting wine is elegant and smooth, full of ripe raspberries and cherries. It is lovely and dry with a very long, pleasant finish of red berries. This is excellent on its own, but would be even better with food. Pretty much any Italian fish or meat dish would do nicely. It’s a little expensive, but for a special occasion wine, on a nice sunny evening (if we get any more! ), this is absolutely perfect. O’Briens Was €19.49 Now €14.99. Masianco is a blend of Pinot Grigio and Verduzza. As with the rosé above, Sandro wanted to improve on the Pinot Grigio grape, believing it to be a bit too light on the finish. To give it a bit more body, Masi use Verduzzo grapes that have undergone appassimento. Usually reserved for sweet wines, this process gives the Verduzzo a lovely honeyed complexity and creaminess. The wine has a lovely balance of sweet wild honey and fresh acidity alongside fresh peach and pear leaving an incredible finish. Again this is a great wine and is reduced in O’Briens at the moment if you wanted to spend a little more on a special weekend wine. It was a great night and for only €15 each (through DiningRoom.ie) including a €10 O’Briens gift voucher to spend on Masi wines, it was terrific value. Grazie Mille to Sandro and all involved. ‘Wine is the companion of life, companion of friendship’. -Sandro Boscaini, President Masi Agricola. Last weekend saw the Royal College of Physicians play host to the O’ Briens Spring Fair in aid of Cancer Clinical Research Trust. Set in this fabulous 150 year old building, there were over 200 wines to taste. Unless you are intending on sampling as many wines as possible and getting very drunk (which many did! ), you need a sensible approach for such an event. Luckily O’ Briens hand out a booklet on entry with a table number of each winery and the wines they will be proffering. I recommend taking 20 minutes to look through the booklet and make a coherent decision on an approach to the night. That could be trying as many of one varietal, region or country as possible or only trying sparkling wines etc. Very often you will only decide this on the night when you see what wineries are present and what you are in the mood for on that particular night. For this tasting, I went conservative and stuck to Sauvignon Blanc and Pinot Noir. This was largely decided by the large contingent of New Zealand wineries, wielding their impressive arsenal of world-class, aromatic Sauvignon Blancs. Alongside these New World examples was a goodly number of French wineries offering their classic take on this grape. For me, this is the beauty of a wine tasting event- trying a New and Old World approach to the same grape and seeing how terroir can be expressed in the glass. For a red, I chose Pinot Noir simply because I love it! This fickle grape is extremely difficult to grow, but when given attention and the right conditions, can produce some of the best wines in the world. On show were examples from France, New Zealand and Germany (where it is known as Spatburgunder), as well as a lot of the sparkling blends. Overall the quality of the wines was good, but not exceptional. The few standout wines are listed below. Dashwood Sauvignon Blanc, Marlborough NZ 2013 (€15.99). This is a really good example showing why Marlborough has become the New World standard for Sauvignon Blanc. Clean, fresh, tropical fruit with lovely passion fruit and cut grass notes with a hint of flinty minerality. Very refreshing and the best New Zealand wine on display. Man O’War Sauvignon Blanc, Waiheke Island NZ 2011 (€19.99). Made from grapes grown in vineyards on Waiheke Island off the coast of Auckland, this is a very different wine to that above. Blended with a small bit of Semillon, this wine is much weightier, with a lot more minerality, than a Sauvignon from Marlborough. Chalk and flint notes are enhanced by the weight of the Semillon. A slightly salty tang from the exposed vineyards is backed up by subtle tropical fruits. Very nice, complex wine- much more Old World in style than most Marlborough Sauvignon Blancs. I also tried Man O’War’s Valhalla Chardonnay, which was stunning. Domaine Henri Bourgeois, Petit Bourgeois Sauvignon Blanc, Loire France 2012 (€15.49). This was the pick of the French Sauvignon Blancs in my price range. This wine shows exactly what a Sauvignon Blanc is capable of in the Old World when meshed with ideas from the New. Very elegant and minerally, with a touch of tropical fruits. Silky smooth with lovely citrus fruit length. Beautiful wine. Domaine Chanson, Chanson Bourgogne Pinot Noir, Burgundy France 2011 (€19.99). Owned by the Bollinger champagne house, this wine is all about classy smooth cherry and blackberry flavours. Lovely and light, it has some spicy notes and a touch of almond on the finish. You don’t get much out of Burgundy for under €20, so this is very good value from a top domaine. I also tried this wineries Nuits St Georges, which was simply stunning. At almost €50 a bottle, it would certainly not be an every day wine, but if you wanted to treat yourself to a top French Pinot, you couldn’t do much better than this. Schloss Schonborn Hollenberg Spatburgunder, Rheingau Germany 2012 (€34.49).